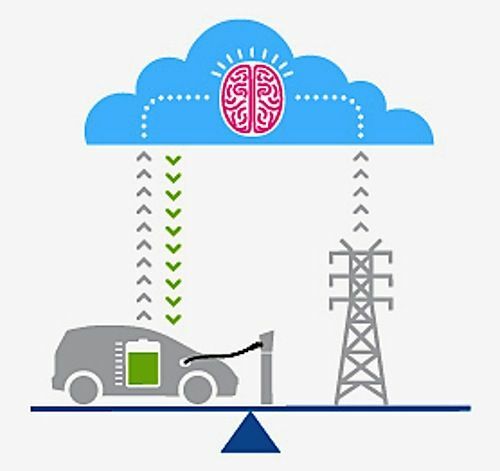 According to an IBM press release, the company just announced it has teamed up with American Honda Motor Co., Inc. and Pacific Gas and Electric Company, PG&E in order to facilitate a new pilot project for a smarter communication means between electric vehicles, EVs and our power grid. The idea of smart grid and intelligent two-way communication between electric cars and the power grid is not new. Tom Gage at AC Propulsion, the company that sowed the seeds for what was to eventually become the Tesla Roadster, has had a working version of what the company calls V2G, Vehicle to Grid. What the company’s V2G does is offer a technology that makes clean and efficient electric-powered transportation possible by allowing electric vehicles to power and be powered by the grid. AC Propulsion's electric vehicles have the energy source capable of producing the 50 Hz or 60 Hz AC electricity that powers our homes and offices using their tzero™ drive system. IBM, Honda & PG&E. The pilot project will help demonstrate and test how an EV’s ability to receive, send information and respond to charge instructions based on the grid current condition can be done in the most efficient way. According to the vehicle’s battery state, the EV will be able to communicate with the utility it is related to and calculate when to charge, how much and for how long. Utilities stand the gain the most from it. With a serious need to understand and catch an insight as to the charging patterns form the coming EV energy use, energy providers need to develop ways to effectively manage charging during peak hours and ideally, offer incentive for consumer programs that encourage electric vehicle adoption. With an expected 2.9 million worldwide EVs by 2017, EV and plug-in vehicles, PHEV will challenge the state of our current power grid. Indeed, the power grid is the weakest point in the EV experience chain and hasn’t been actively upgraded to handled intelligent two-way communication. Think of it at telephone switching central office before the Internet. Once the internet was active, the communication network became a smart multi-way media. The same needs to happen for utilities. By adding another much needed layer of energy transportation agility to the EV charging process, this will help make the charging experience seamless for consumers no matter where they are. It also doubles as an important incentive, that of ensuring our electricity source and transportations system is reliable and that its infrastructure is stable and secure. Where Honda Fits In The Picture. The electric Honda Fit will provide the testing ground for the project. By demonstrating how the vehicle communicates with the grid and the data gathered will be used to create an individualized charging plan. Everything will rely on IBM’s cloud based software platform as a medium. The Honda Fit EV will then interact with utilities and the grid, much as a computer sends and receives information via the Internet. The data will then be used to improve local grid management and future upgrades. Technically Speaking. Once The Honda Fit EV is plugged into a charge post, it initiates a request via the vehicles telemetric system. The request is then sent to IBM’s cloud platform, the Electric Vehicle Enablement Platform where the data is processed, such as the battery state, as well as the grid data information gathered from PG&E. Everything is then combined to calculate the optimal charge schedule, amount and more. This is all communicated back to the EV in almost real-time with which, it has enough information to determine the charge level needed for its use while keeping in mind current grid constraints. While carmakers race to manufacture electric cars that are affordable, charging station makers race to install charging spots that are easy to use and abundant. The real race as per usual is behind the scene. Our aging grid needs a serious upgrade to become a truly multi-communication and energy transportation system. IBM, Honda and PG&E are taking the right steps in the right direction to ensure electric cars and plug-in vehicles can charge whenever, wherever while keeping the grid’s state in mind, making it a smart grid indeed.